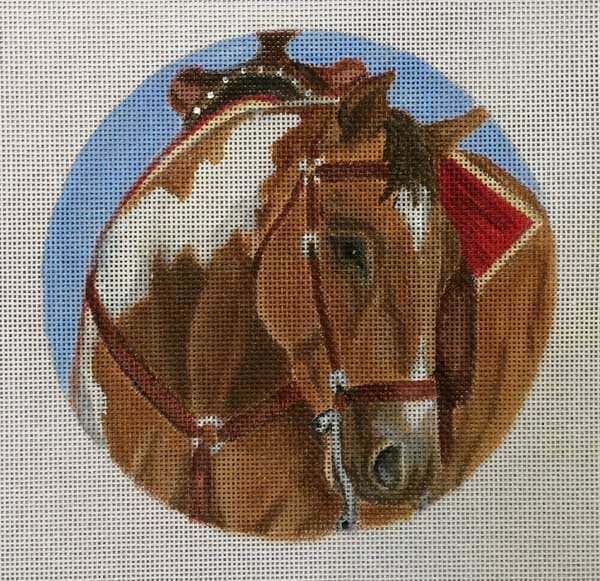 This western saddle horse needlepoint ornament design by Nenah Stone is professionally handpainted onto 18 mesh Mono Zweigart needlepoint canvas. The design area measures 6" in diameter and can be finished as a hanging ornament or framed. This Nenah Stone horse needlepoint ornament canvas usually ships within 1 week. If it is out of stock we will let you know and you will have the option of cancelling your order. Or you can contact us to check on availability.